Address the day, just the day in front of you. Be optimistic after SCI even if logic defies it. We have to eat…so here’s a recipe for easy peasy delicious squash herb bread. It takes 10 minutes to make. The difficulty is waiting for it to cook before you eat it! This bread is brilliant with salads or soups or quietly with a cup of tea and a smear of butter! A tradesman reminded me how tedious it is being stuck indoors. It reinforced Emily’s independence after SCI as she left the house to catch a wheelchair accessible bus (M30) to Sydney University leaving me behind. 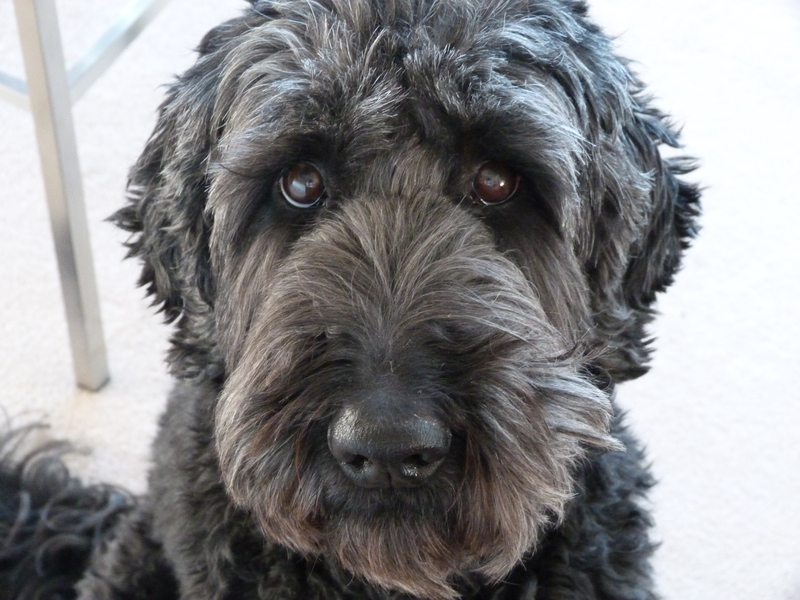 Our pictures speak a thousand words….. I collected our team bibs for City2Surf2015 and started to get excited, less than 48 hours!! 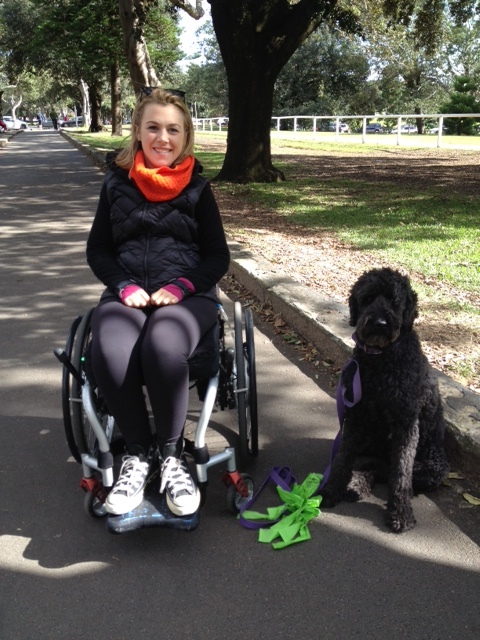 Emily and Cobie spent a third Sunday rolling around Centennial Park being followed by their hairy coach! Beastie keeps the pace up while rehydrating at every opportunity, she manages to juggle being social while barking orders – all good leadership skills! We made good time and allowed ourselves a coffee stop to talk tactics. 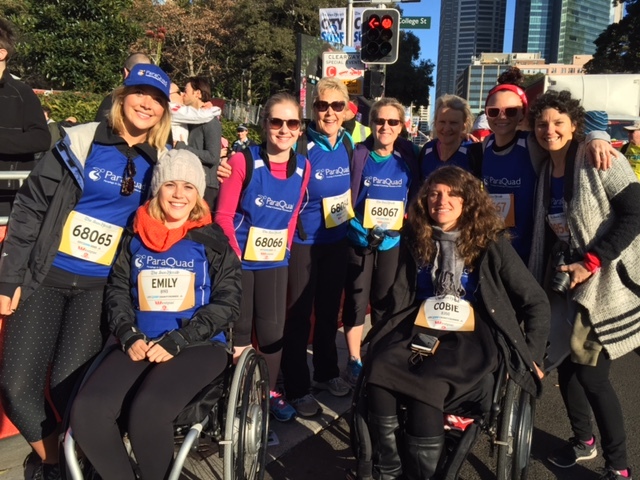 Basically we aim to walk, roll the 14 km course on Sunday 9th August from Sydney city center to Bondi surf hence City2Surf while raising funds and awareness for ParaQuadNSW. The team is supportive of Emily and Cobie but these two girls want to push themselves along the route. 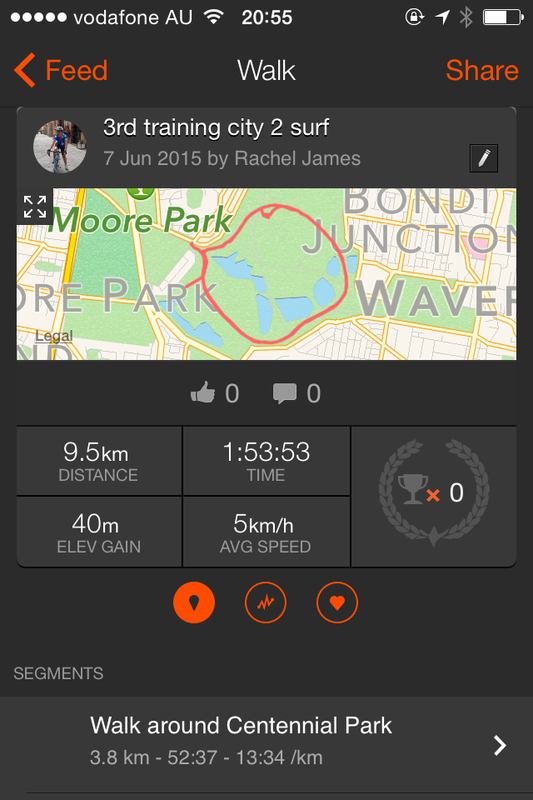 Cobie completed the race in 2013 so wants to beat her original time. Emily is in her inaugural race so will celebrate finishing as her goal. 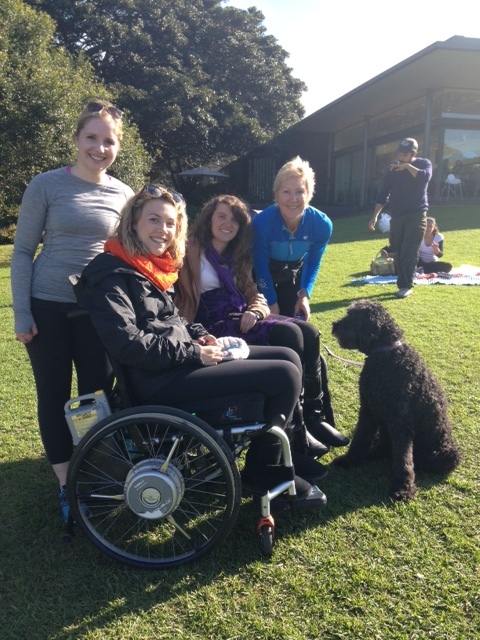 Both girls want to raise awareness of ParaQuadNSW – an organisation that supports people with spinal cord injury in the community. As ParaQuadNSW members each has through application received funding to study at University. If we can maintain a 5km per hour average speed we will complete the course in under 3 hours but heartbreak Hill may push that expectation? Watch this space for updates! 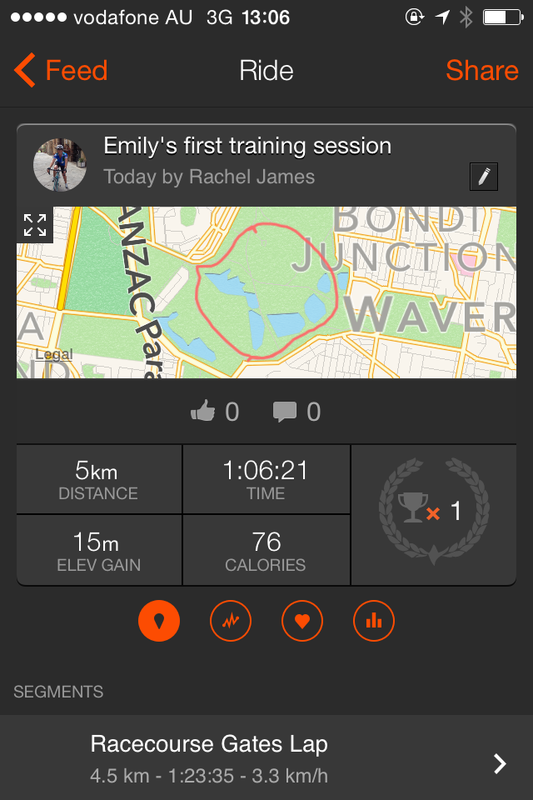 As Emily has to stick to 1200 calories or 5000 kilojoules a day I aim to make them tasty!